Logan Paul in The Thinning: New World Order trailer. 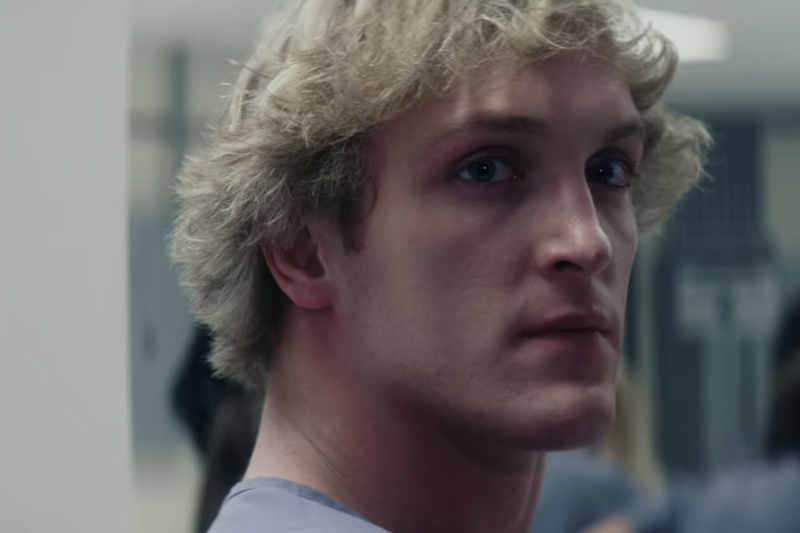 Logan Paulâs The Thinning: New World Order is officially coming out, just months after Paulâs controversy in Japan prompted YouTube to put the film on hold indefinitely. Paul posted a trailer for the film on YouTube last night. Thereâs no release date for the YouTube Premium (formerly YouTube Red) project yet, but Paul suggests in the comments that itâll be available for Premium subscribers âvery soon.â Paul also tweeted out the news with a dev il emoji, announcing the âsurpriseâ move. Although The Thinning: New World Order is hardly one of 2018âs most anticipated movies, it does arrive amid controversy. YouTube announced on January 10th that the film, as well as all other YouTube Red projects Paul was involved in, would remain on hold indefinitely. The decision came just a little over a week after Paulâs decision to upload a video that contained the body of a man who had committed suicide in Japanâs Aokigahara forest. At the time, the company also removed Paul from Google Preferred, its top-tier advertising group. Paul is still unable to receive Google Preferred ads, but his actions â" which more or less kicked off the platformâs most recent wave of demonetization, helping to usher in one of YouTubeâs most turbulent times â" havenât affected his channel too much. He still pulls in revenue through AdSense and boasts more than 18 million subscribers. YouTube CEO Susan Wojcicki e ven defended Paulâs place within the YouTube community during an interview with Recodeâs Kara Swisher at CodeCon earlier this year. The Thinning: New World Orderâs release is just another win for Paul, who is currently on a redemption tour. Update Oct. 17, 9:30 AM ET: A YouTube representative issued the following statement to The Verge about the companyâs decision to move forward with The Thinning: New World Order. The project was never intended to be cancelled entirely, but was shelved following Paulâs behavior.